Just because it’s chilly doesn’t mean your style’s on ice. 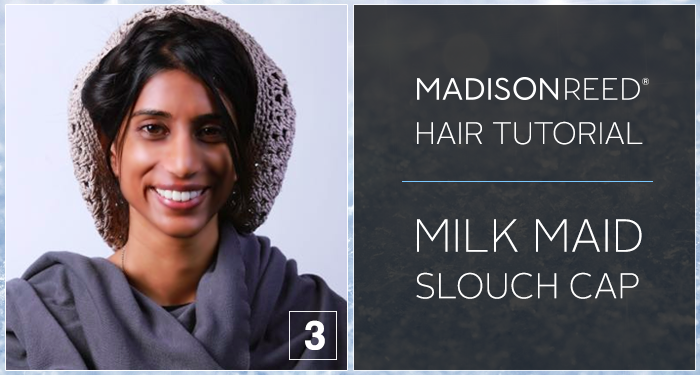 Get great hair while staying warm with four great looks from Madison Reed that fit fabulously under hats and bike helmets. 1. 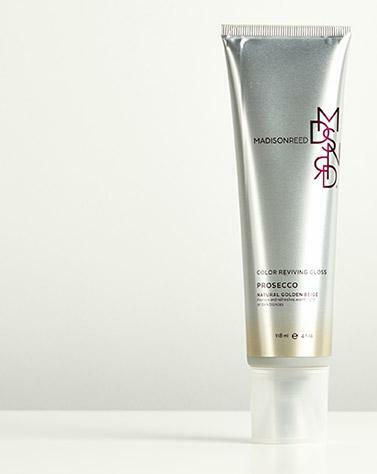 Start with clean hair worn down. 2. Create a center part to make your sections equal for the pigtails. 3. 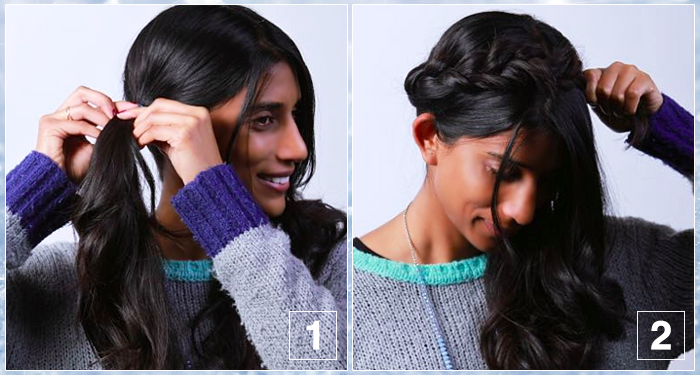 Braid both sections of hair and secure with ponytail holders. 4. 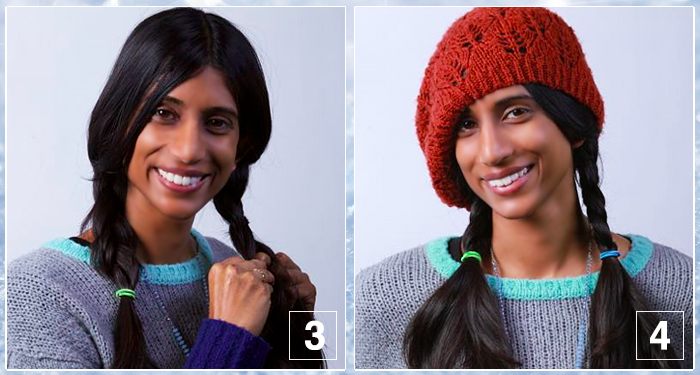 Add your favorite beanie or cap to look wonderfully whimsical. 1. 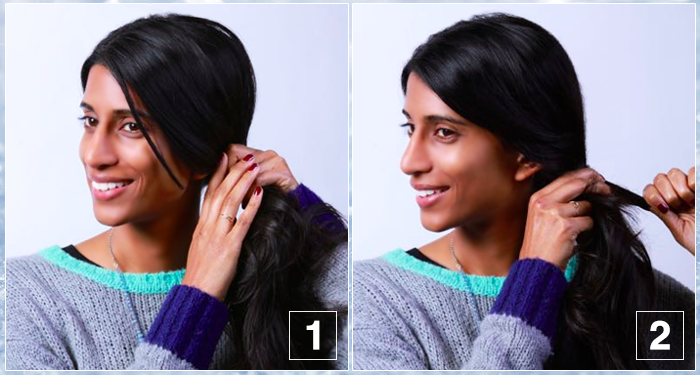 Gather all of your hair to one side underneath your ear and secure with a ponytail holder. 2. 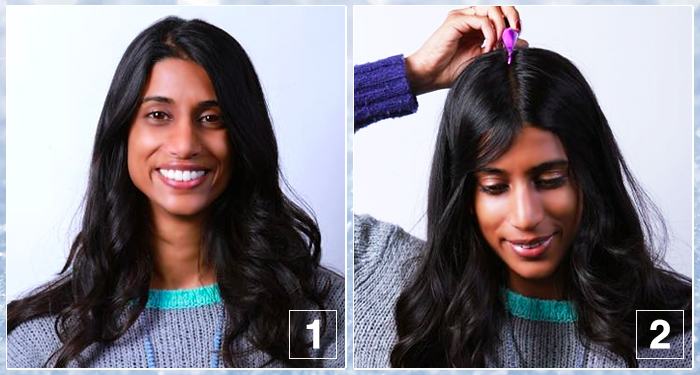 Choose a 1-inch section of hair from your ponytail and start wrapping around the ponytail holder. 3. Secure the hair wrapped around the ponytail holder with a bobby pin. 4. 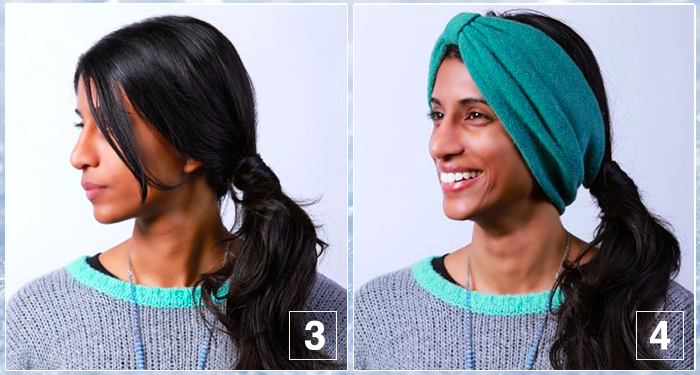 Slip on your colorful turban and make way for a warm and stylish day. 1. Part hair down the middle and secure into ponytail holders above your ears. 2. 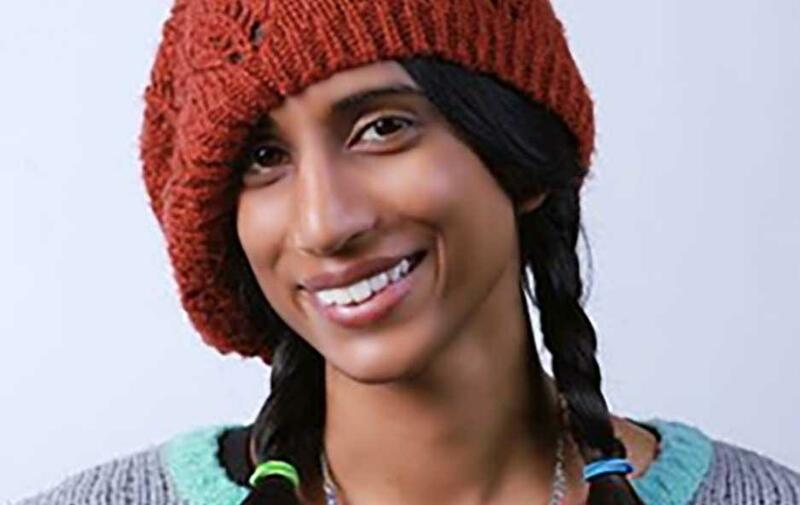 Braid each of the ponies and wrap them up around the crown of your head. 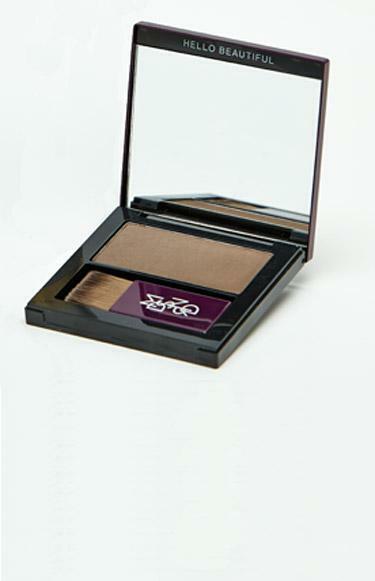 Secure with bobby pins. 3. Slip on your slouchy cap. Pin cap in place if it feels loose. 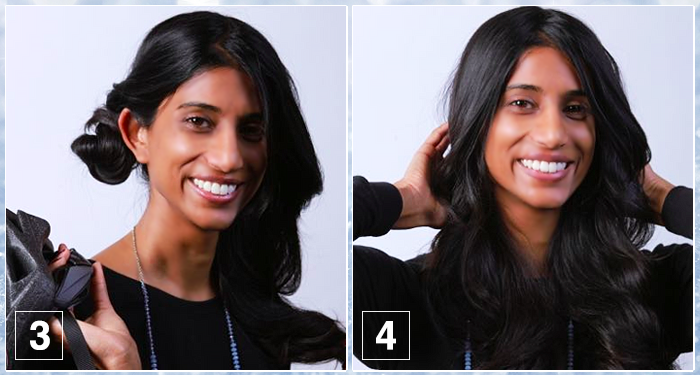 Allow a few flattering face-framing tendrils to drape free and you are ready to face the cold while feeling hot! 1. Part hair down the middle, gather hair, and twist entire section tightly. 2. Keep twisting the hair into a bun and secure with bobby pins or a ponytail holder. Repeat steps 1-2 on the other side. 3. 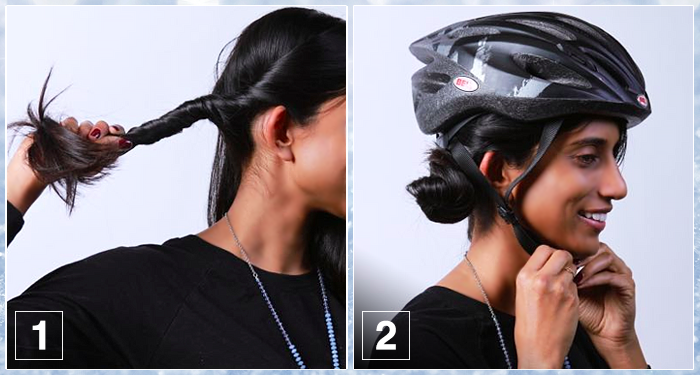 When you take off your helmet, you can set the twisted sections of hair loose. 4. Take out both buns and check out the beautiful waves that you have. It’s your reward for keeping yourself while riding.